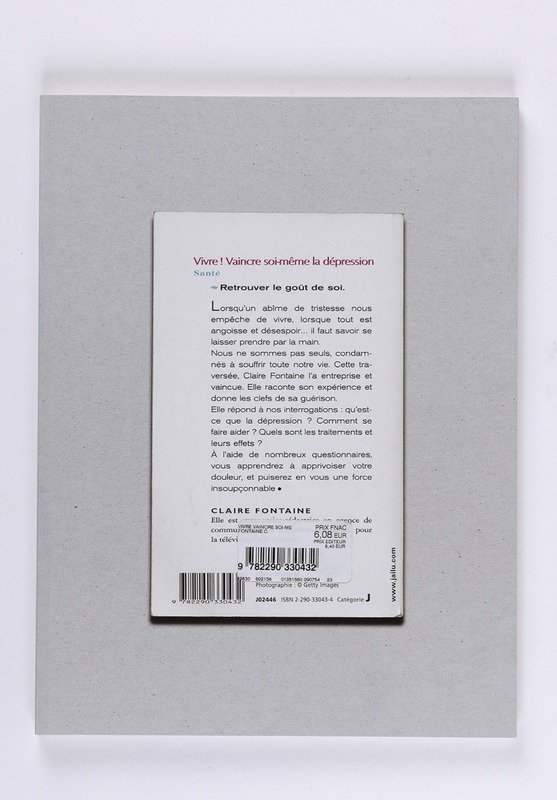 Living, Defeating is the creation of the art collective Claire Fontaine, which draws its essence from the fifty books whose back covers have been used. 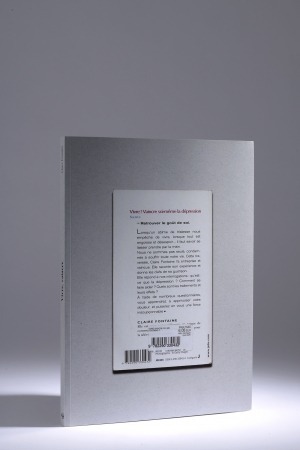 Here, Claire Fontaine questions the status of the book by revealing the flow and the collision/collusion of the discussion that surrounds it: by combining commercial indicators, slogans and arguments, the back cover becomes such a symbol. 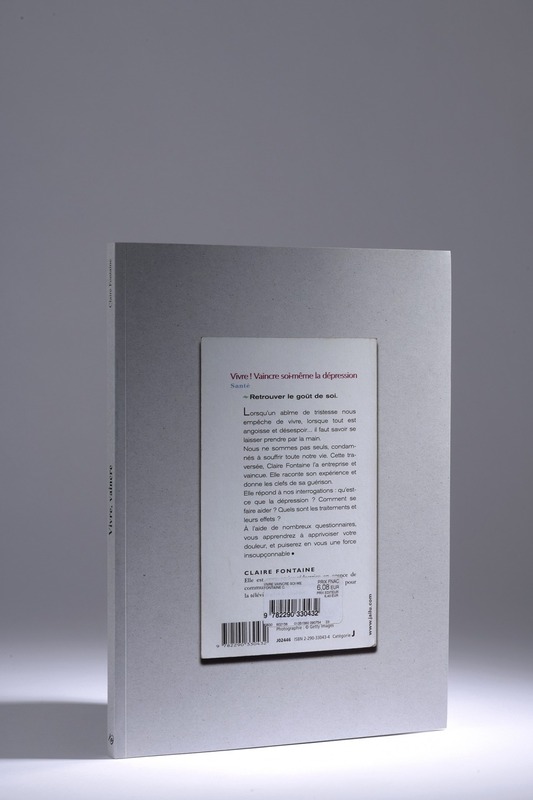 The book juxtaposes fifty-four back covers, reproduced as the original, by multiple anonymous authors and with the compulsory information–ISBN, price–emphasizing their nature as a commercial and renewable object. 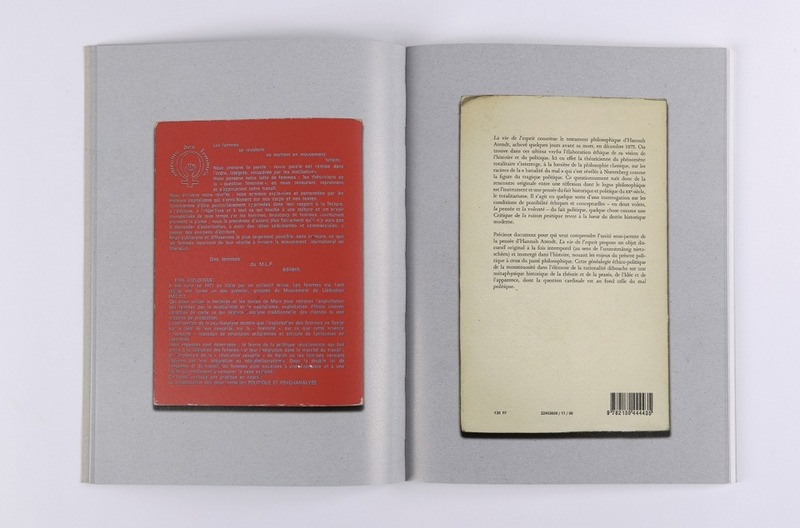 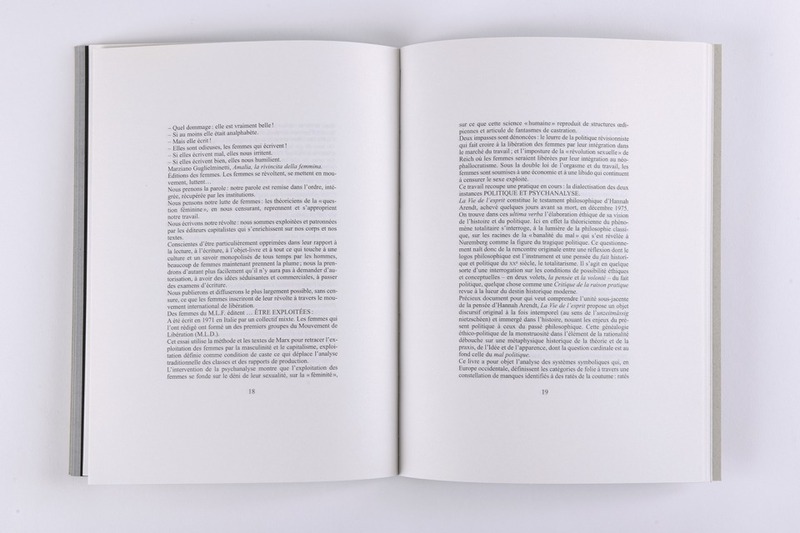 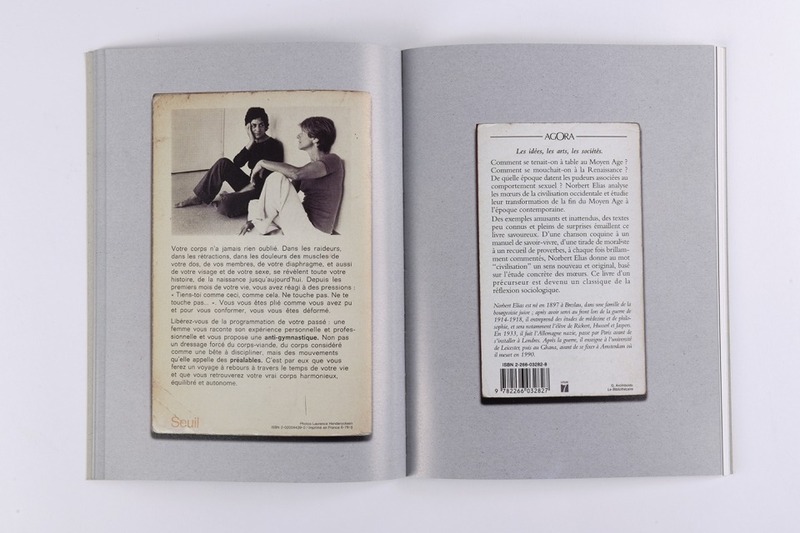 The second part of the book shows the transcript of the information contained on the back covers–abstracts, bibliographies or biographies–as a single text laid out by the artiste (cut-up, coupes), creating ‘a continually interrupted story, violently mutilated by revolts and resistance’. 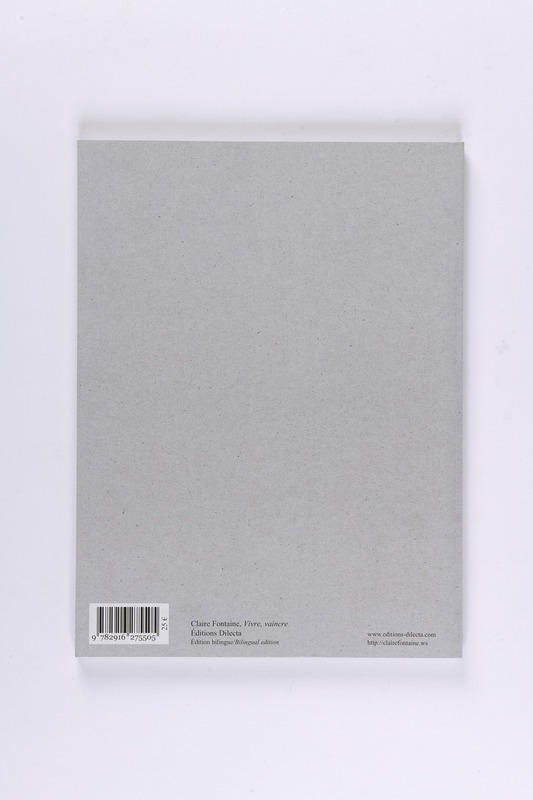 This book follows the thought process of Claire Fontaine on the book as an object, begun in 2006 with, most notably, the production of brickbats–bricks wrapped in flat covers–that impertinently question the power of language on a physical body and the relationship between culture and commercial goods.